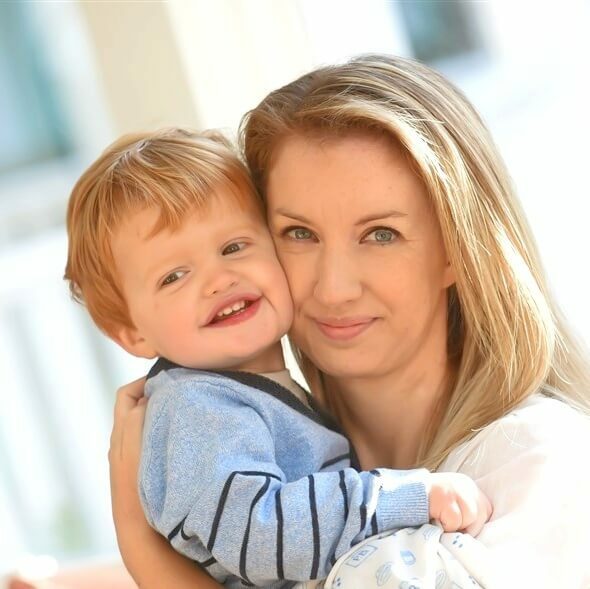 Boy or girl, I don’t know many young kids that don’t love Thomas the Tank Engine – and actually, most parents love him too! I grew up with Thomas and I love that my kids love him too. 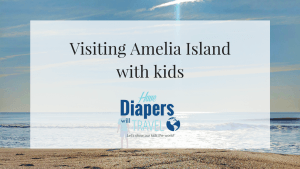 There are some TV shows that I actively try to convince my little ones not to watch – Caillou, I’m looking at you – and ones that I just pray my kids grow out of (Teletubbies, anyone?!) But I could watch episodes of Thomas over and over; in fact, I’ve often found myself still watching an episode long after the kids have lost interest! For the avid Thomas fan, there is probably no place better in the world than Thomas Land at Drayton Manor Theme Park in England. The theme park itself is packed with rides, attractions, and even a zoo, but you could (and we did!) spend a whole day just exploring Thomas Land. 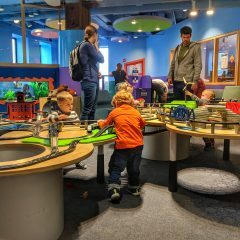 There are over 20 rides, playgrounds, and exhibits within Thomas Land, all designed for the young Thomas fan, ideally of a toddler or preschool age. 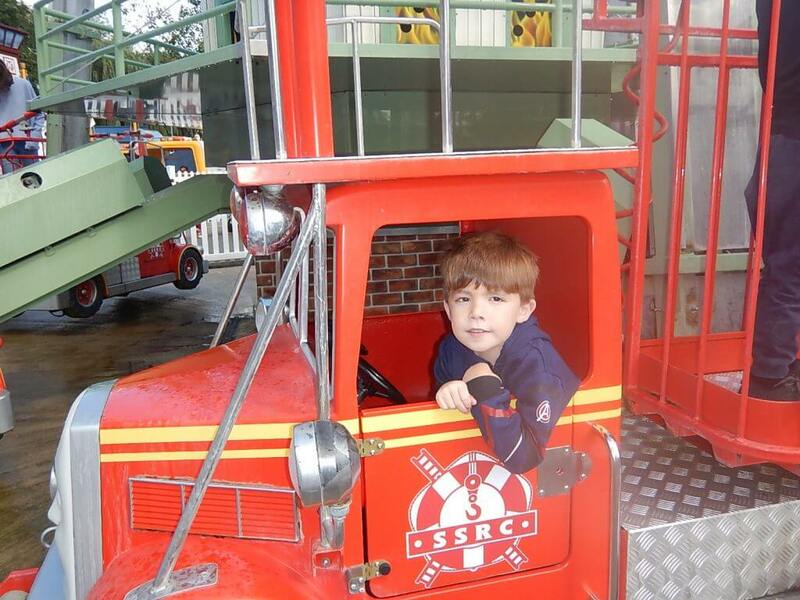 Harrison was 4 when we visited, and in my opinion, it was the ideal age to visit; he reached the height requirement for each of the attractions, but nothing was too scary or too tame for him. 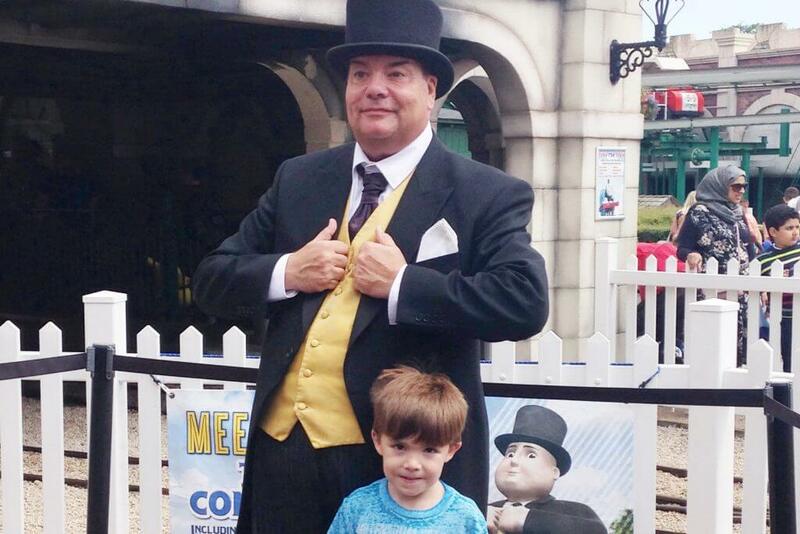 Here’s everything you need to know before visiting Thomas Land with your little Thomas lover! We checked opening times before we visited and saw that Drayton Manor opened at 9am. Being avid Disney-goers, we assumed we would need to arrive park opening, and were parking our car at 8.45am. This would have been beautiful timing, except that even thought the park opened at 9am, the rides didn’t open until 10am! We weren’t sure exactly what we were supposed to do with that extra hour, so we bought ourselves coffee and muffins, and walked around to get a feel for the area. If you don’t mind getting there early and walking around, I would still recommend this plan of attack; we were able to figure out where all of the rides were, and get in line nice and early for our number one choice! However, trying to explain to an overexcited 4-year old that we could look at the rides, but not actually ride them, for over an hour, was a little rough, and I’d imagine most kids might find that tough. 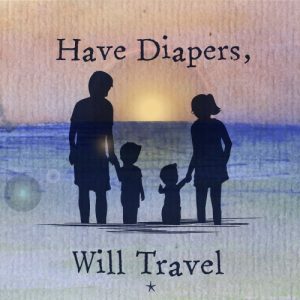 This is also tough on the parents trying to find things to do besides coffee and muffins for an hour! So check and double check your times before setting out in the morning, and decide how early you want to be there! 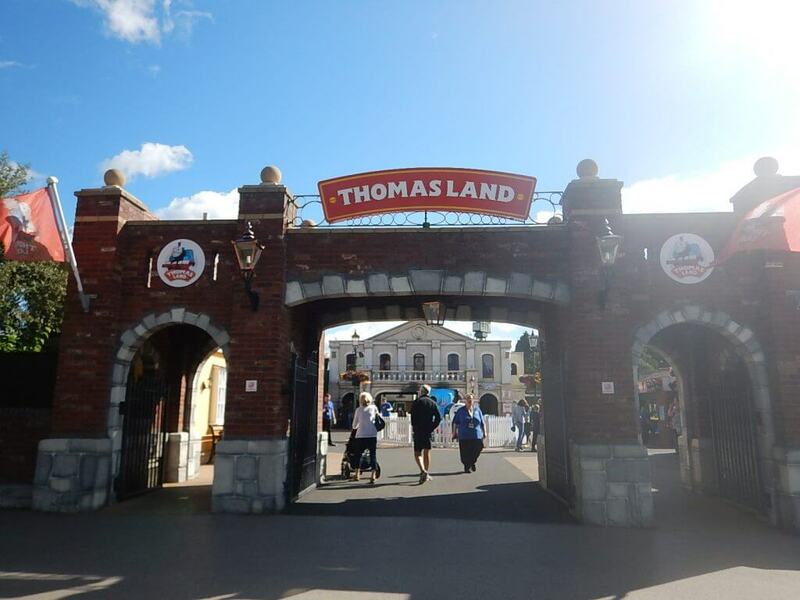 In order to visit Thomas Land, you must buy tickets for the entire Drayton Manor theme park. 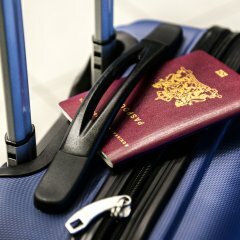 Tickets can be bought online ahead of time, or bought at the gate, but it is almost always cheaper to buy ahead of time. 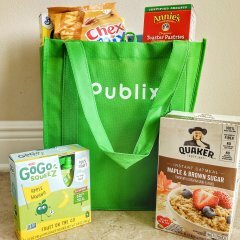 When we were booking over the summer, there were multiple discounts to save our family money. When booking online in advance, you do have to choose the day in which you choose to visit, but it is worth the pre-planning to get the discounted ticket prices in my opinion. When we originally bought tickets to Drayton Manor, I honestly though we would spend an hour or two in Thomas Land, before moving on to other areas of the park. Nope! We spent the whole day – that would be 8 whole hours! 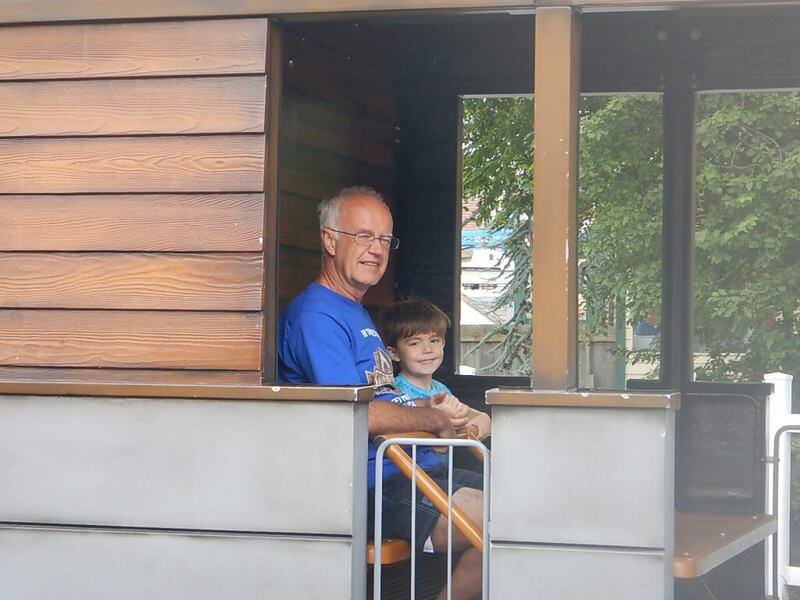 – in Thomas Land! There were a staggering amount of rides to choose from, and it was honestly a little tricky to figure out where to go or what to do first! We ended up choosing the newest rides, as well as the thrill rides, to do first, and this strategy turned out to be a good one. We visited at the beginning of the English school holidays (the last week of July) so expected the park to be busy, but we still found that the longest wait was only 30 minutes. Still a long time for a 4-year old (especially a 4-year old used to the Disney Fastpass system!) but absolutely doable. For us, the longest waits were for James and the Red Balloon, and the Troublesome Trucks Runaway Coaster. Before you go, have a look on Drayton Manor’s website at the height requirements for the rides in Thomas Land. I assumed that my smaller-than-average 4-year old would be tall enough for all of the rides, and I was right; the tallest requirement we came across was 1.05m (just over 41 inches) although plenty of rides required someone taller to ride with a smaller rider. If there is a ride your little one is absolutely dying to ride, make sure they are tall enough beforehand; employees we came across were vigilant about checking heights, and we saw a few smaller rides turned away for their own safety. I must admit that I was surprised how few rides my taller-than-average 16-month old could ride; he was a little over 80 cm, and many rides required 90cm at least. He didn’t mind one bit, but I was happy I looked at this info in advance so I knew what he could ride and what he would have to skip. 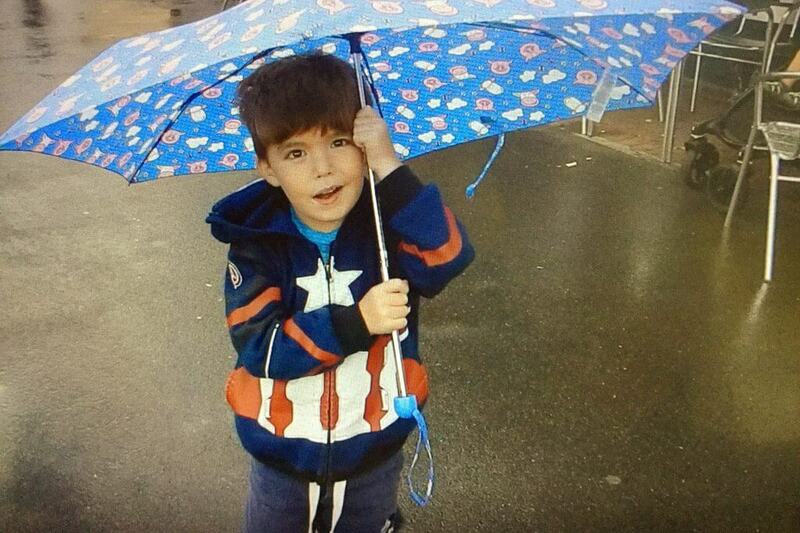 Thomas Land is in England, and anyone visiting England must understand that the weather is unpredictable at best. During our 8 hours in Thomas Land, we were rained on, we wore both fleece jackets and t-shirts, and 16-month old Gray went from wearing two pairs of socks to having sunburned toes. So yeah, the weather is a little all over the place. 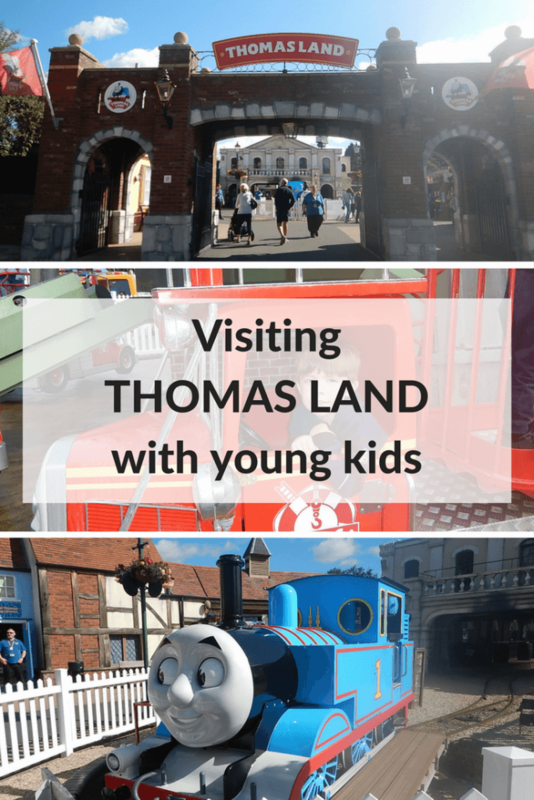 The majority of Thomas Land attractions are outdoors, and everything we saw ran rain or shine. So bring wet weather gear, bring extra layers, bring sunscreen, and prepare for the weather to change throughout the day! Be prepared for the toys! Once we had navigated the majority of the rides that Harrison wanted to do, we found ourselves wandering past a gift shop. Harrison asked to go in to “just have a look” and you can imagine how that turned out. 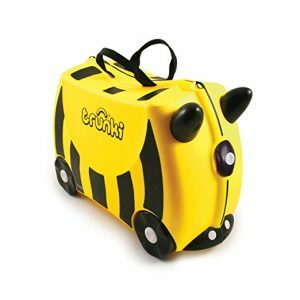 If your little one is a Thomas fan, then I dare you to leave Thomas Land without a gift bag carrying some sort of toy train, t-shirt, or other souvenir. Despite my protests of overweight luggage and “you already have a train like that!” we left with books, shirts, toy trains, and naturally, a Thomas toothbrush! If you have no desire to festoon your home with Thomas paraphernalia, then be aware that gift shops are all over, and your little one should probably not be less loose in them without your supervision! We live less than 30 minutes from Walt Disney World in Florida, and yet I can safely say that Thomas Land was one of the best places we have ever visited! Harrison had an amazing time, and had to be dragged away upon closing kicking and screaming! We rode every single ride multiple times, danced with the Fat Controller, played in all of the play areas, rode on Thomas and Percy, bought multiple souvenirs, and had the most fantastic time! When we talk about heading back to England next year, this is the number one attraction that my son wants to visit – and considering Gray is now over 90cm, I think he’ll be petty excited too! 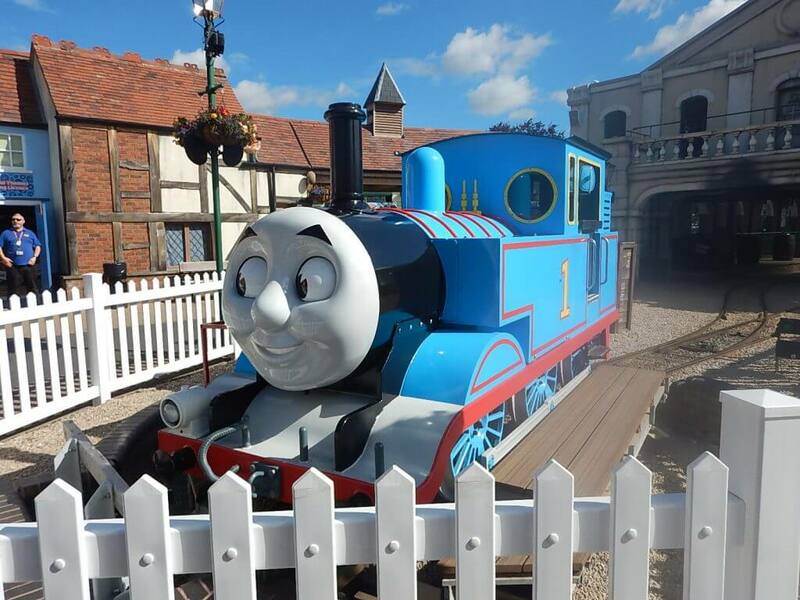 Have you visited Thomas Land at Drayton Manor Theme Park? 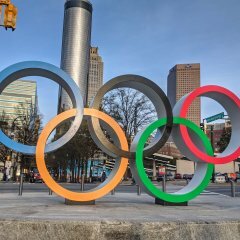 Do you have any tips for other visitors? Let me know in the comments below! Oh, my goodness! This looks so great! My son would have loved this when he was little. 🙂 Great photos too!